The annual "Taiji Whale Festival" held on the first Sunday of November in Japan left a bloody stain on the infamous cove, as spectators watched. 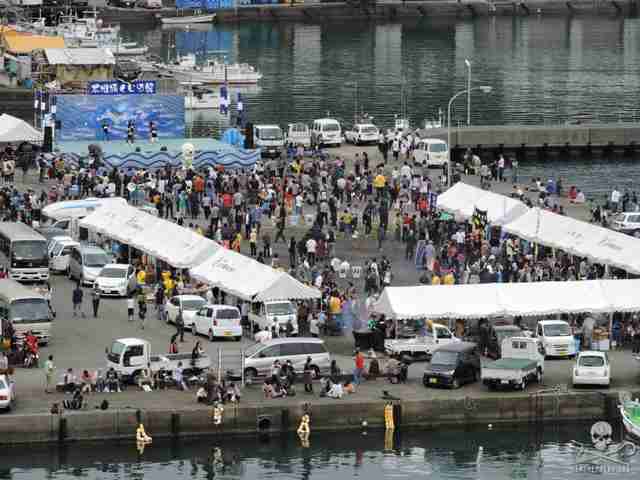 The festival is advertised as a celebration of the town's history of whaling. 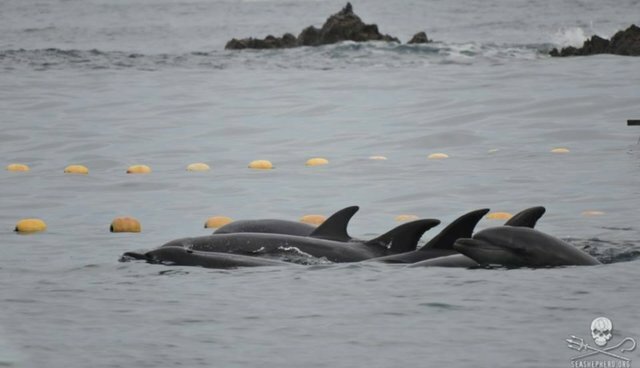 A pod of 20-25 bottlenose dolphins was herded into nets in the cove on Sunday, reports activists from the Dolphin Project on site - the first bottlenose pod of the season, which has been in full swing for over 60 days now. While festival-goers gathered on the shore, the dolphins swam in their pens and activists documented the fray. Animal activists reported that fishermen were taking festival-goers for rides on their fishing boats, showing them the dolphins in the sea pens. Soon enough, captive selection for marine parks began, taking five animals from the pod. 11 more were slaughtered, taken in slings to a covered butcher house on the shore. The meat is marketed for human consumption - though samples of dolphin meat have repeatedly tested higher than the legal level for mercury over the past two decades. Four surviving juveniles and babies were dumped at sea, though activists from the Sea Shepherd Conservation Society, also documenting the slaughter in the cove this year, fear they won't survive without their pod. This year's catch quota allows for the slaughter of 114 pilot whales, 450 striped dolphins, 509 bottlenose dolphins, 261 Risso's dolphins, 70 false killer whales, 134 Pacific white-sided dolphins, and 400 pantropical spotted dolphins - 1,938 animals in total. See this page for everything you can do to stop Taiji's dolphin hunt.